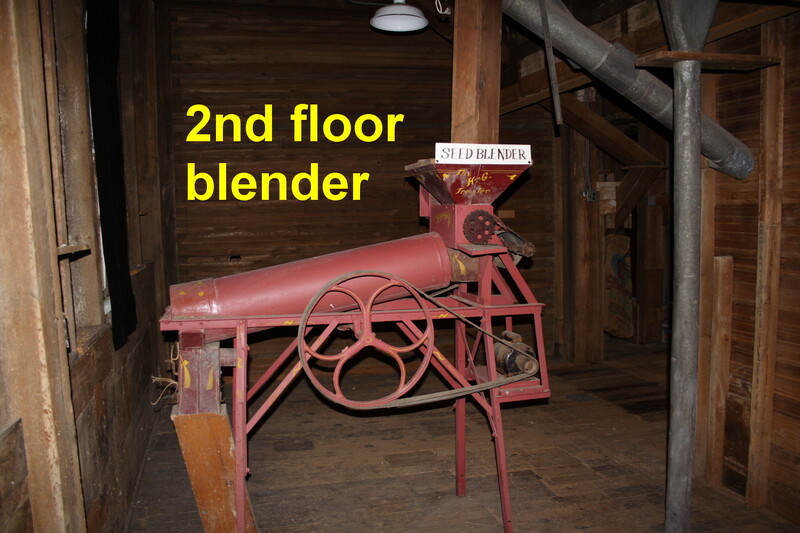 Pictured is the second floor seed blender which is the only piece of Mill equipment on the second floor. Most of the grain bins were removed in the 1990’s for the antique mall and some of the equipment was sold to Zanella Milling in West Sunbury which still operates a mill. 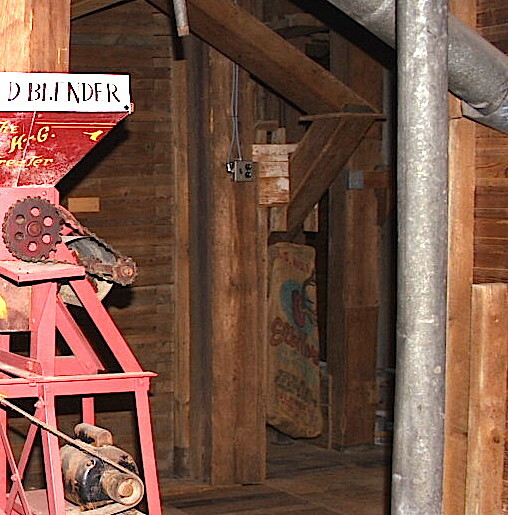 In the enlarged photo, you can or can’t see a number of interesting facets of the Mill. There is a small selector there and a hatch that opens to a passage that went to the third floor. The hatch was big enough for a person so I was planning a secret ladder here to get to the third floor. Also back in the SW corner of the second floor was a large grain bin we had converted to a storage room. Daniel removed the sloped floor and we filled it with Simplicity pattern cabinets from Joann fabrics. Directly behind the blender is the wall of the grain bin with the climbing wall.